(Willis). The tunes in More New Orleans Jazz Styles series are written for piano students of intermediate level. Gillock believed that every student's musical education should include experiences in a variety of popular stylings, including jazz, as a recurring phase of thier study. Students should be encouraged to deviate from the written notes with their own improvisations, for spontaneity is an essential ingredient of the jazz idiom. TITLES: New Orleans Blues * Taking It Easy * After Midnight * Mister Trumpet Man * Bourbon Street Saturday Night. (Piano Solo Songbook). 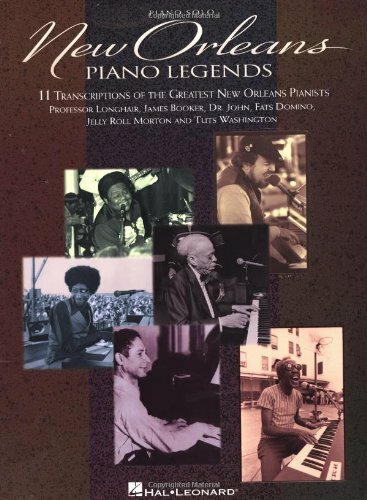 This long-awaited collection features 11 transcriptions from the greatest New Orleans pianists of all time, including legends like Professor Longhair, James Booker, Dr. John, Fats Domino, Jelly Roll Morton and Tuts Washington. Songs: Big Chief * Blueberry Hill * Doin' It * Gonzo's Blue Dream * The Pearls * Pop's Dilemma * Tico Tico * Tipitina * When the Saints Go Marching In * Willie Fugal's Blues. New Orleans - Jazz Piano Solos Series Vol. 21 20 selections, including: Basin Street Blues • Blueberry Hill • Do You Know What It Means to Miss New Orleans • Jambalaya (On the Bayou) • King Porter Stomp • New Orleans Blues • On the Sunny Side of the Street • Tiger Rag (Hold That Tiger) • Tipitina • and more. (Willis). 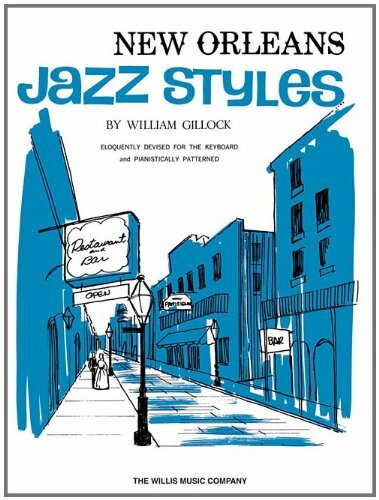 As the title suggests, these are the New Orleans Jazz Style pieces by William Gillock made simple. By arranging them in a more basic style, more students will be able to access these great pieces. (Willis). 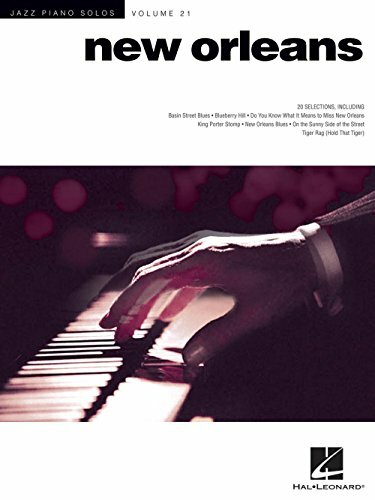 The tunes in the New Orleans Jazz Styles series are written for piano students of intermediate level. Gillock believed that every student's musical education should include experiences in a variety of popular stylings, including jazz, as a recurring phase of their study. Students should be encouraged to deviate from the written notes with their own improvisations, for spontaneity is an essential ingredient of the jazz idiom. TITLES: New Orleans Nightfall * The Constant Bass * Mardi Gras * Dixieland Combo * Frankie and Johnny (Theme and Variations). 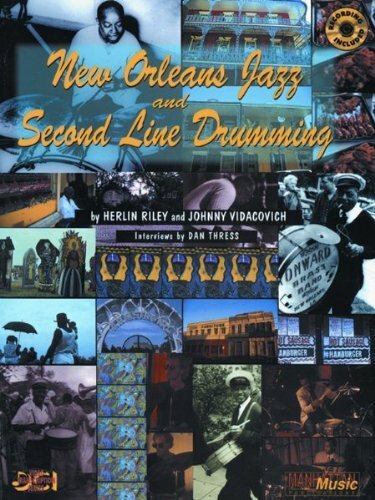 This book & CD traces the evolution of New Orleans jazz and second-line drumming from the early styles of ragtime and traditional jazz to their modern applications in contemporary jazz. (Piano). 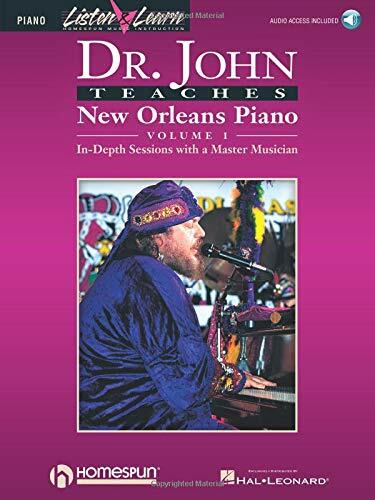 Mac "Dr. John" Rebennack, a veritable encyclopedia of music and lore, immerses you in all aspects of New Orleans boogie and blues piano. This intimate session will help you build a solid repertoire and acquire essential licks, runs, turnarounds, rhythms and techniques. Includes audio demos, accessed online that can be streamed or downloaded. The audio files include PLAYBACK+, a multi-functional audio player that allows you to slow down audio without changing pitch, set loop points, change keys, and pan left or right. (Willis). 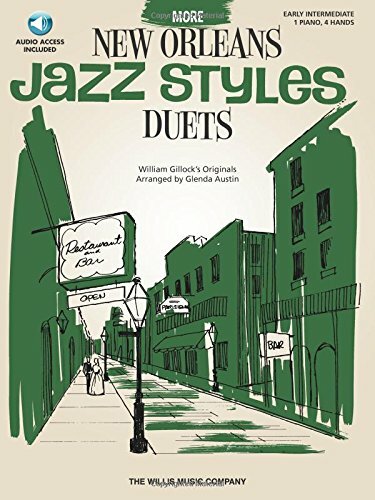 William Gillock's timeless jazz originals have been transformed into engaging and very accessible 1 Piano/4 Hands duets by composer/clinician Glenda Austin. The book also comes with online audio tracks that include a demo of both parts together, as well as separate Primo and Secondo parts, giving the student the flexibility to rehearse as well as perform on their own when a partner is not available. Excellent collaborative pieces! Contents: New Orleans Blues * Taking It Easy * After Midnight * Mister Trumpet Man * Bourbon Street Saturday Night. (Piano). Ever wondered how to create better accompaniments for the melodies in your favorite fake books? This "teach yourself" book introduces you to chord building, various rhythmic styles, and much more, so that you play the songs you like just the way you want them. Keyboard players with a basic understanding of notation and sight-reading will be on their way to more fun with fake books. 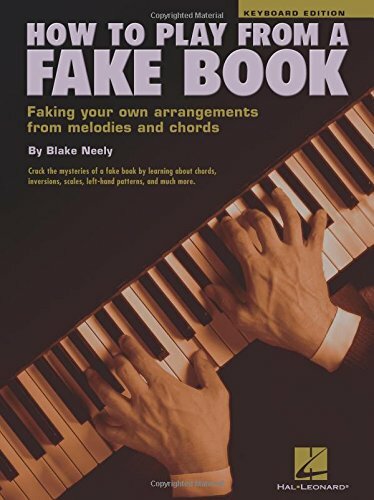 The relaxed tone of the text and selection of fun songs keep How to Play from a Fake Book entertaining throughout perfect for amateur musicians, or as a supplement for keyboard teachers and their students. This 2 CD set features 28 of the most popular jazz songs from New Orleans performed by some of the biggest names from New Orleans. The collection spans from the early days of Jazz with Original Dixieland Jazz Band with quot;Tiger Ragquot; in 1917 to the early 1960s with Louis Armstrong with quot;Hello Dolly.quot; New Orleans Jazz Fest will take place April 24th-May 3rd and will feature the top New Orleans born and raised artists. This sampler celebrates the 52nd anniversary of Jazzology & GHB, and features the best in New Orleans jazz, including the Excelsior Brass Band, Sing Miller/Sam Lee with Maryland Jazz Band, Gully Low Jazz Band, Les Haricots Rouges, Lu Watters Yerba Buena Jazz Band, Steve Pistorius Mahogany Hall Stompers, Pete Fountain, Burt Bales, New Orleans Ragtime Orchestra & others. "A delightful book with excellent recipes..." Mimi Sheraton, The New York Times" Creole Gumbo is more than a cookbook. 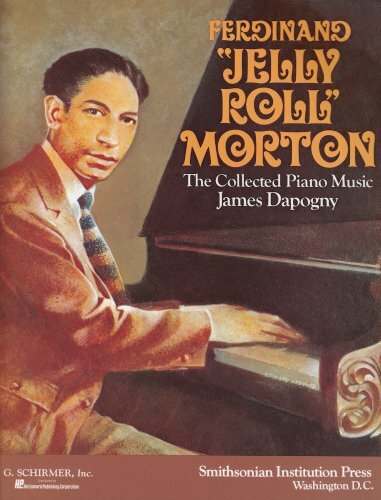 It is a history book, a music lesson and a personality profile of great jazzmen." The Today ShowThis delicious compilation is cooked with a roux of raconteur Howard Mitcham's wit and served with a side dish of jazzhistory and lyrics.As an appetizer, Mitcham traces the development of the cuisine that made New Orleans famous and the history of the people who brought their native cookery to the melting pot that makes New Orleans a living gumbo.For the main course, he puts together a cornucopia of local delights that are ready to prepare in any kitchen.A dazzling array of photos, foods, and far-out folklore, spiced up with tidbits of jazz history and lyrics, comprises a seafood cookbook that celebrates the world-famous cookery of New Orleans. Howard Mitcham offers more than 300 enticing dishes, from crab gumbo and shrimp-oyster jambalaya to barbecued red snapper and trout amandine.Mitcham traces the development of sophisticated Creole cooking and its rambunctious country cousin, Cajun cooking, with innumerable anecdotes, pictures, and recipes. Along the way, he offers a list of substitutes for hard-to-find seafoods, a bibliography, and a guide to the best mail-order seafood markets in New Orleans. New Orleans jazz thrilled the world in the twenties and traveled around the world in the thirties. In the forties and fifties, the world came to New Orleans to hear authentic New Orleans jazz played by real jazz musicians. The sixties brought Preservation Hall, a musical institution that even a hurricane couldn't kill. For the last 40 years, the New Orleans Jazz and Heritage Festival has been celebrating New Orleans' and Louisiana's unique culture and music. This volume contains rare photographs from the Louisiana State Museum's Jazz Collection, lovingly assembled and accompanied by captions written by award-winning author and Jazz Roots radio show host Tom Morgan. Those who love jazz will be amazed by these pictures of some of the best musicians ever to pick up an instrument. 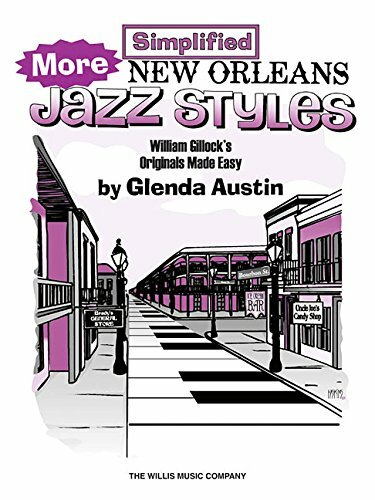 For those just beginning to learn about jazz, this 200-page volume is an excellent takeoff point to learn more about what made New Orleans jazz unique, and a source to discover musicians who can further enhance readers' listening pleasure. The Guardian and Observer newspapers have covered jazz in all its shapes and forms for almost a century. Jazz: From New Orleans to the new generation is a collection of reviews and profiles that charts the development of the music from its first appearance in London in 1917 right through to latter day arguments over fusion. Contributors including Kingsley Amis, Benny Green, Michael Frayn and John Fordham provide a uniquely British perspective on the history of jazz that features all the top names, from Louis Armstrong and Miles Davis to Robert Glasper. 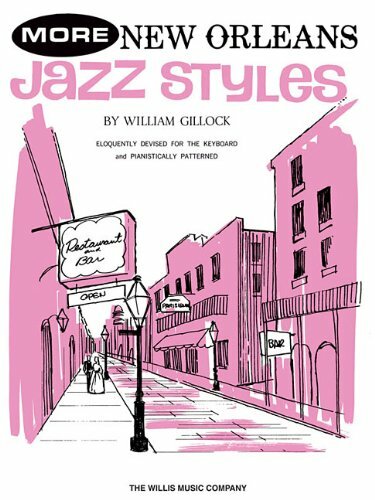 1965 New Orleans Jazz Styles by William Gillock Sheet Music Willis Music Co.
Easy Clarinet 'New Orleans' Blues duet with solo on top -Trio!